Kaitlyn Roland | a yogini with a PhD and a passion to help people live well with Parkinson's disease. Hey… don’t forget to check out yogadopa.com for my biweekly blog posts and re-subscribe to receive emails. This site is no longer updated. 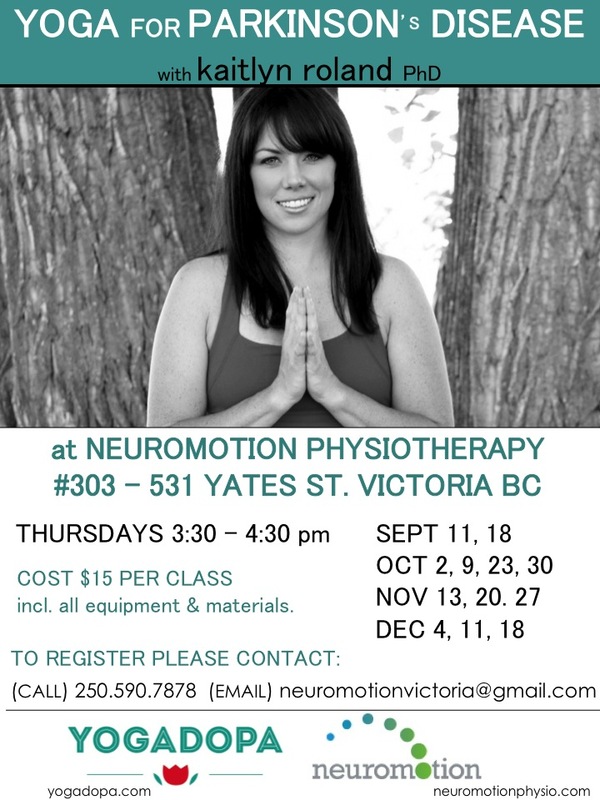 Yogadopa classes at Neuromotion Victoria start SEPT 11th! Yogadopa and Neuromotion Physiotherapy Victoria are running 12 PARKINSON’S YOGA CLASSES Thursdays from 3:30-4:30pm starting September 11th. September 11, 18; October 2, 9, 23, 30; November 13, 20, 27; December 4, 11, 18. Sessions will focus on posture, balance, strengthening the core, opening the chest, flexibility and range of motion. Classes are $15/session: sign up for all 12-sessions AND drop-ins welcome (please phone ahead to make sure there is space). All equipment and handouts provided. Both persons living with Parkinson’s and care partners welcome! Looking forward to seeing you there! I’m excited to announce that Yogadopa and Neuromotion Physiotherapy are running TWO YOGA FOR PARKINSON’S SUMMER WORKSHOPS! Thursday July 17th will cover some core (abdominal) work, focus on postural alignment andgentle opening of the chest... Great for anyone with a stooped posture and will provide some take-home tips! Thursday August 21st will focus on finding our feet on the floor, work on activating the leg muscles, and building a solid foundation to help with balance… This session will really address balance issues and provide some advice for practicing at-home! Please contact Neuromotion Physiotherapy to register or with any other questions! Looking forward to it. Much love. 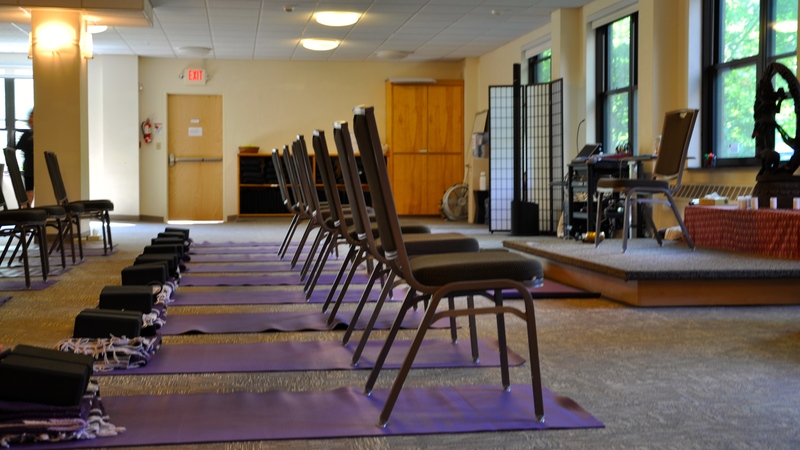 yoga, parkinson’s and other adventures on yogadopa.com! And while you’re there, don’t forget to sign up to stay up-t0-date on my new “summer series” … which will include weekly yoga postures! much love.